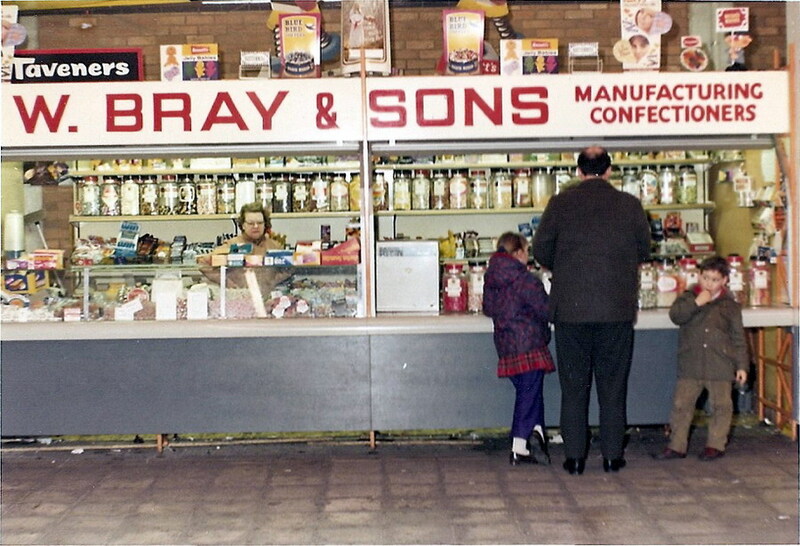 The Bray family were manufacturers of quality hard boiled sweets in Merthyr Tydfil from a small factory off the High Street in Pontmorlais for several generations. The business has always been run along very traditional lines. The manufacturing process was conducted in a building about 41m x 6m which was formerly an old Grist Mill. Access to the small factory was via the narrow Old Mill Lane which joins onto the High Street. The 1836 map of the town centre reveals that even at this early date Pontmorlais was an important area for trade and business, although the area has undergone a decline since the 1960s. The quaint Old Mill Lane, which ended at Brays Sweet Factory, has a old fashioned charm; as have the other alleyways in the area such as Bowen’s Court and the alley to Eglwys Soar. The Nant Morlais Brook defines the western boundary of the area. 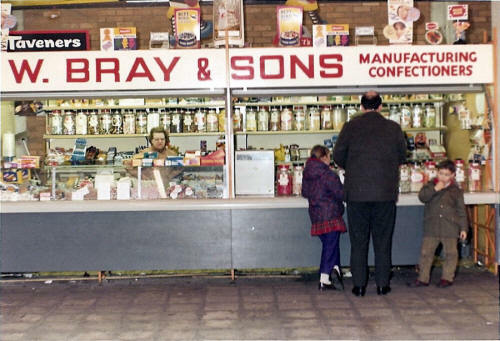 Brays Sweet Factory was just visible from the High Street at the end of the Lane. 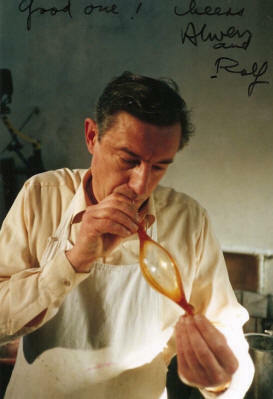 Sweet making in the small factory was a highly skilled operation. 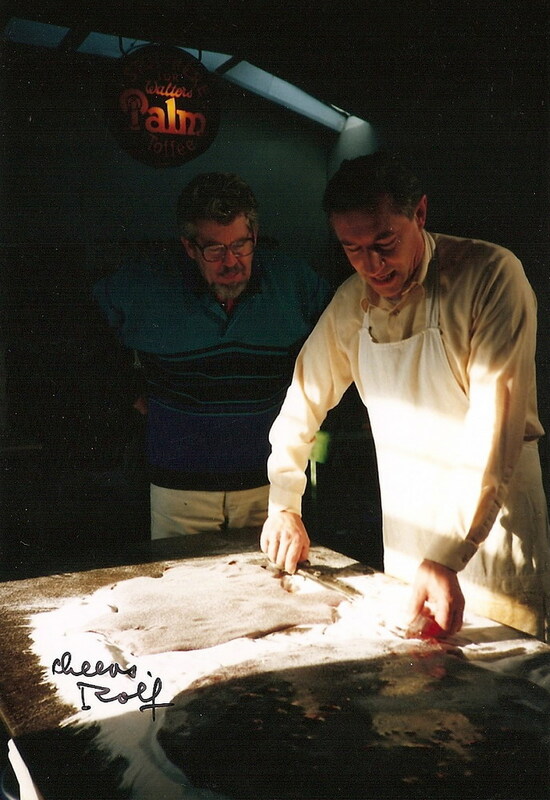 The manufacturing process involves boiling up a sugary solution, adding flavouring and then cooling it and pouring it onto a metal slab where it was kneaded into the right consistency. 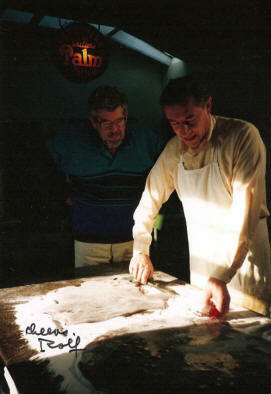 The sticky syrupy solution is then fed through a couple of rollers which have indentations to form a round sweet shape. The temperature has to be correctly controlled at all stages. The individual sweets are then fed through a sweet wrapping machine and packed into large glass jars for sale. Around seven different batches were prepared each day and there was up to 25 varieties of boiled sweets with different flavourings. The sweets were supplied to a great number of retail outlets, including tourist attractions such as the Welsh Folk Museum, Caerphilly Castle and the Rhondda Heritage Park. 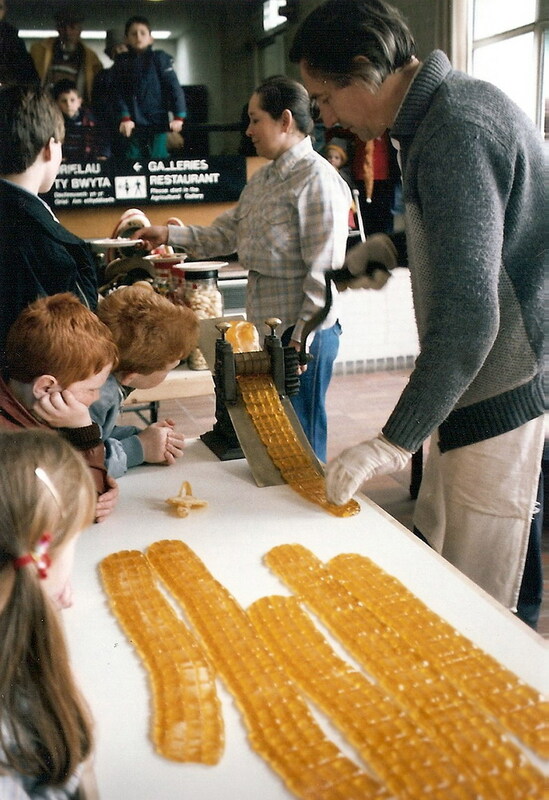 There was also a portable sweet making facility to give sweet making demonstrations at various events and summer fairs. Fred Bray was a part of the traditional Welsh craft industry of South Wales but retired from direct manufacture at the end of the twentieth century.